I did a quick Canon G1x mark II High ISO Test just to get a quick impression of how the Powershot G1X Mark II image quality holds up at ISO 3200 and above. One of these reasons I spent the extra dough on this camera was its large sensor and the reported impressive performance under low light conditions. 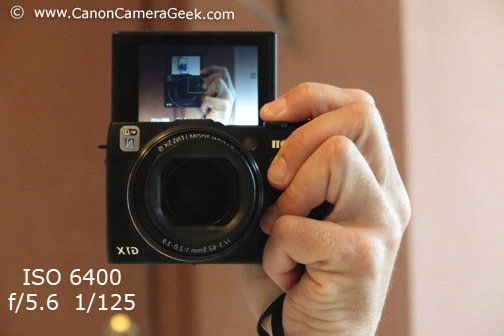 Here is the link to my full review of the Powershot G1x Mark II. This was definitely not a scientifically controlled test, but I like to test cameras out "in the field" rather than staged lab conditions that most photographers don't shoot under anyway. These photos are all hand held, G1X Mark II Selfies taken in front of a mirror with subdued natural lighting being supplied by a bathroom window. 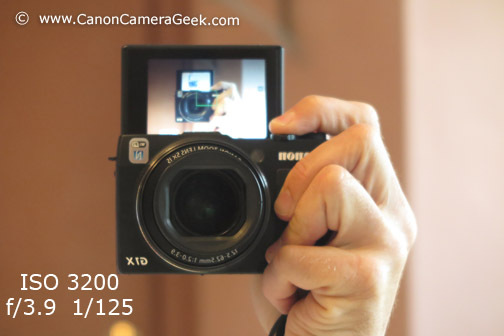 Doubling the ISO setting in each sample photo corresponded to an increased f-stop and could easily affect sharpness. I kept the shutter speed consistent to minimize any effects from motion blur, although a more legitimate result would result if I had used a tripod. Although a decrease in sharpness and acuity is always a factor that comes forth with high ISO settings, I was more interested in exploring the amount of digital noise produced under these conditions. The most surprising result was the difference in color and saturation when I maxed out the sensitivity on the sensor and changed the ISO setting from 6400 to 12800. The image shot at ISO 12800 had shifted a bit to the blue side and was less saturated. I did open the image in PhotoShop to see if I could match it to the others. A few adjustments with Color Balance and Hue/Saturation gave me a good match to the photographs shot at ISO 3200 and 6400. This shift isn't necessarily a bad thing, but definitely worth noting if you were in a situation that dictated such a change in ISO during a shoot and the had the desire to match photographs. Overall, I was pleased with the results of my impromptu Canon G1X Mark II high ISO test. Coming originally from a scientific background, I like clean and sharp images. 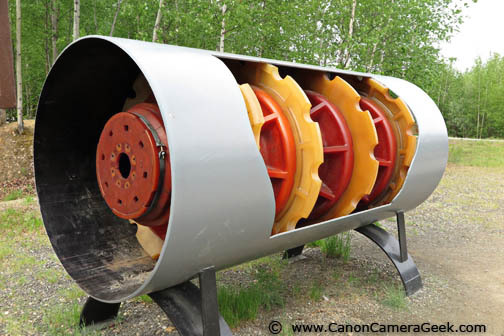 I enjoyed using my Canon G11 for several years because of it's compact size, its ability to shoot RAW and the inclusion of a hot shoe for using external flash. 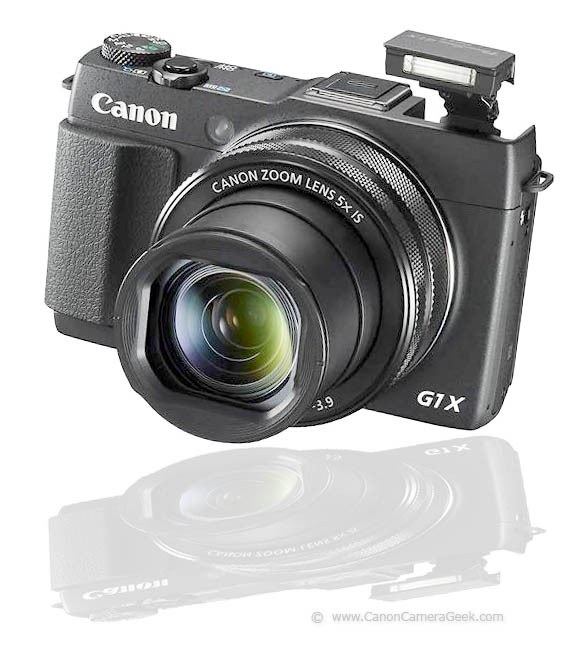 the G11's biggest shortcoming was its noise levles in photos at anything but the lower ISO settings. 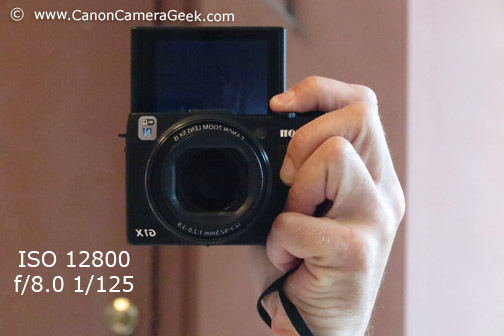 The larger 1.5 inch sensor in the mid-sized point and shoot camera chassis is a great combination and was long overdue in my opinion. The images were not tack sharp, but that was more a function of shallow depth of field from such a close distance using relatively large apertures. Not surprisingly, the sharpest image was the last one I took which had the smallest aperture of f/8. I was very pleased with the lack of significant noise, even at ISO 12800 with the jpg images unedited right out of the camera. In low light situations, I had no problem with shooting at ISO 1600 for most subjects and digital noise was at acceptable levels.